It gives me a great pleasure to join the Editorial Board of the International Journal of Cardiology and Health (IJCH). Cardiovascular diseases (CVDs) cause one-third of deaths worldwide (J. Am Coll. Cardiol. May 2017). NCD Risk Factor Collaboration, in their seminal article in the Lancet (April 2016) concluded that, “if the post-2000 trends continue in the incidence and rise of diabetes, the probability of meeting the global target of halting the rise in the prevalence of diabetes by 2025, to the 2020 level worldwide is lower than one percent. According to the Institute for Health Matrics and Evaluation (IHME), today 2.1 billion people-nearly 30% of the global population, are either obese or overweight-a new, first-of-a-kind analysis of trend data from 180 countries. As part of the 2020 impact goals, the American Heart Association (AHA) has set out seven ideal health goals; not smoking, maintaining normal weight, increased physical activity, a healthy diet, normal blood lipid levels, normal blood pressure and a normal fasting glucose. An analysis of the National Health and Nutritional Received July 30, 2017; Accepted August 16, 2017; Published August 22, 2017. Gundu Rao Introduction Examination Survey (NHANES) showed, that individuals who met five of the seven ideal metrics of AHA, had a 78% reduction in the hazard ratio for all cause-mortality. From the INTERHEART study (Lancet (9438): 937-952,2004), which included 52 countries, it is estimated that modifiable risk factors account for 90% of the population attributable risk for heart disease in men and 94% of the risk in Women. Khera et al (NEJM: 375:2349- 58,2016) showed that in four studies with over 55,000 participants, a favorable lifestyle intervention was associated with nearly 50% lower risk for coronary artery disease, in spite of the genetic risk. 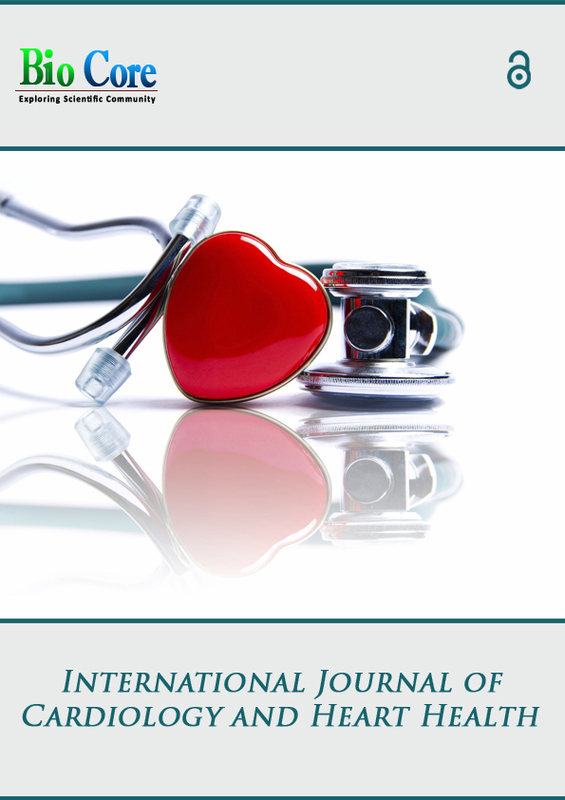 I am glad that this International journal is dedicated to the very important area of public health importance-Cardiology. Having said that, I urge all my fellow editors to invite, encourage and promote publication of articles in the associated areas of hypertension, obesity, metabolic disorders, type-2 diabetes, heart disease and stroke. I wish the journal the very best wishes.